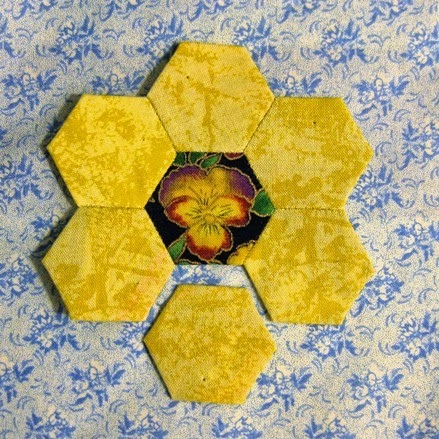 Two hexie projects to show you. Such a neat trick she has - no marking corners! Sorry this was from 2012 so probably no kits left - LOL. I still have to decide if I will square it or leave two of the borders zig zaggy. AND I've almost finished another hexie flower. What have you been up to? Link up and show us your eye candy - hexie or otherwise. Linky below. 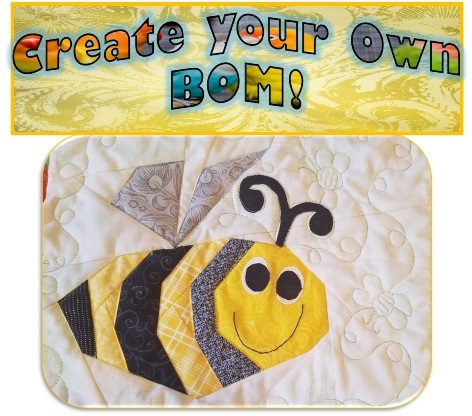 I'm linking to Crazy Mom Quilts Finish it Up Friday since I finished putting together my top. See you there. Good looking hexies. I must get on with mine. If I do, I'll link them. Great video Angie...thanks. Of course I love all your hexie, but the yellow is so cute with the pansy. Too sweet. Hexies are great! Enjoy your weekend! Your hexie is beautiful!! Looks like you've mastered the corners. 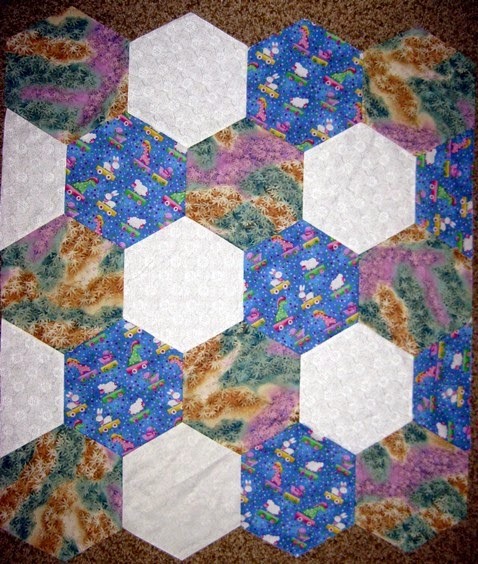 love your hexies but I have no hexies right now with me to work on so can not link - I am working on Tumblers now! Very interesting video. 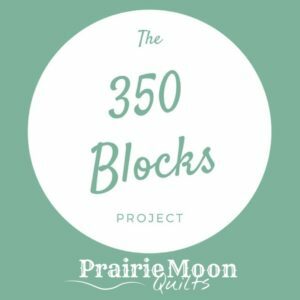 The technique would be great for a variety of blocks! Thanks for sharing! Watched the video -- tried it -- think the technique I teach in my DVD, Set-In Piecing Simplified is more efficient -- I'm might biased about that (-"
Thanks for the video share! People come up with the best ideas. The big ones came out neat, but I really love that pansy center in your yellow one! I will have one for next weekend, finally!